Blog posted by: Rupert McNeil, Government Chief People Officer, 19 December 2018 – Categories: A great place to work, Civil Service Leaders, Diversity and inclusion. This year’s celebration of the centenary of some women winning the right to vote, has sharpened the focus on the fight for gender equality in British society. 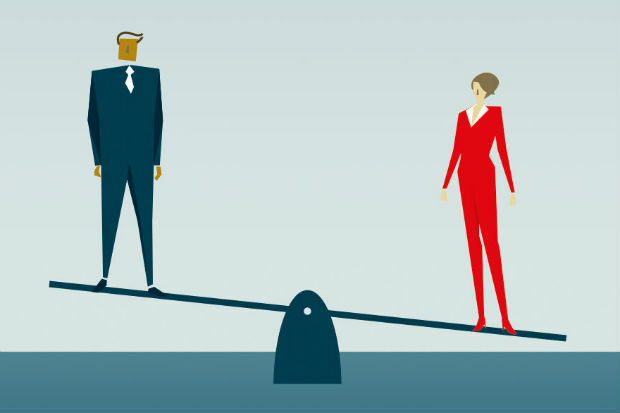 Pay disparity is now one of the most prominent signs of inequality between the sexes, underlining the need for gender equality in the workplace to be a practical reality, not just a slogan. This year also marks the second time public and private organisations with more than 250 employees have had to publish their gender pay gap data, in line with the Government’s reporting requirements. This is world-leading legislation. It will make workplaces across the UK fairer, provide unprecedented transparency and encourage employers to take the action required to close the gap. There are times when the Civil Service – which we want to be a true reflection of the society it serves – can and should also be a leader for social change, in this case, in moving towards equality in pay. In fact, the Civil Service has led the way for a number of years, publishing gender pay gap information as part of the annual Civil Service Statistics. We can use the recently published data to make direct comparisons with the wider public sector and the private sector to ensure that all organisations are held to account. Today, 18 of the main Whitehall ministerial departments, plus non-ministerial departments, have published their gender pay gap data. I am pleased to say that the overall median gender pay gap for all staff across the Civil Service – the Office for National Statistics headline measure – has narrowed over the past year, from 12.7% in 2017 down to 12.2%. This is significantly lower than the 23.8% seen in the private sector and the 19.0% in the public sector as a whole. The mean gender pay gap for the Civil Service is lower at 9.8%, down from 10.6% in 2017. Despite this narrowing, with most departments moving in the right direction, the movement is gradual and in some departments the gap has widened since reporting last year. Because the primary cause of the Civil Service’s gender pay gap is an imbalance in representation at all grades and across all departments, agencies, functions and professions, improving this has to be our focus. We have made steady progress towards more equal representation of women and men across all grades, especially in the Senior Civil Service (the proportion of SCS who are women is now 43.1%, an increase of 7.9 percentage points since 2010). But women’s representation, especially at grades 6, 7 and in the SCS, is still not what it should be. Why is this so important? The Civil Service wants to be the UK’s most inclusive employer by 2020, one that is representative of society, and better equipped to meet the challenges we face. Better equipped because it is made up of teams built on a diversity and richness of experience and background that will produce public services of real impact in improving the lives of citizens. In October 2016, we launched our Diversity and Inclusion Strategy for achieving this aim, including how we will continue to improve the gender balance of the Civil Service at all levels. We have adopted several recommendations from the Government Equalities Office for closing the gender pay gap. This includes using more diverse recruitment techniques, with the introduction of the Success Profiles framework, and continuing to ensure a transparent pay and reward process both centrally and within departments. We’re using software that ensures job adverts for senior roles don’t contain gender-biased wording, and aim to make this common practice in all recruitment in the near future. Also, departments are widening awareness of flexible working opportunities, including home working and job sharing. And we are working hard to expand the reach of our accelerated development initiatives, such as the Future Leaders and Senior Leaders schemes. These have a huge part to play in creating a more diverse and representative Senior Civil Service. Representation of women has consistently been above the average at grade for the past three years. Additionally, the Civil Service Positive Action Pathway – a development programme to give participants up to Grade 6 the skills and confidence to realise their potential – is available in departments and agencies where data shows a need to provide this opportunity to female employees. Today’s gender pay publications show that the Civil Service continues to move in the right direction. However, we need to accelerate to achieve representative diversity and continue to make the Civil Service a great place to work for everyone.